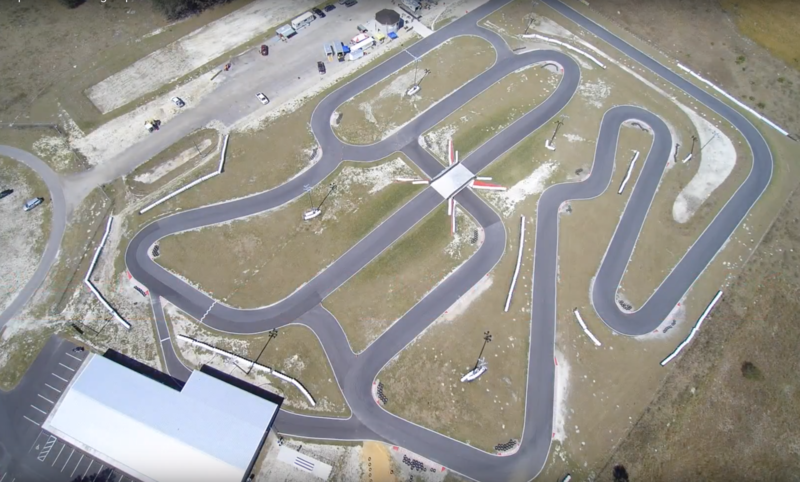 Located Exit 314 off I-75, the brand new Bushnell Motorsports Park features a 2/3 mile asphalt race track that is used for our high-speed rental karts, competitive kart racing, competitive SuperMoto / Grom racing, privateer owner practice time, as well as arrive-and-drive kart racing leagues, kart racing schools, Endurance Racing, corporate events, private events, private lessons and more. 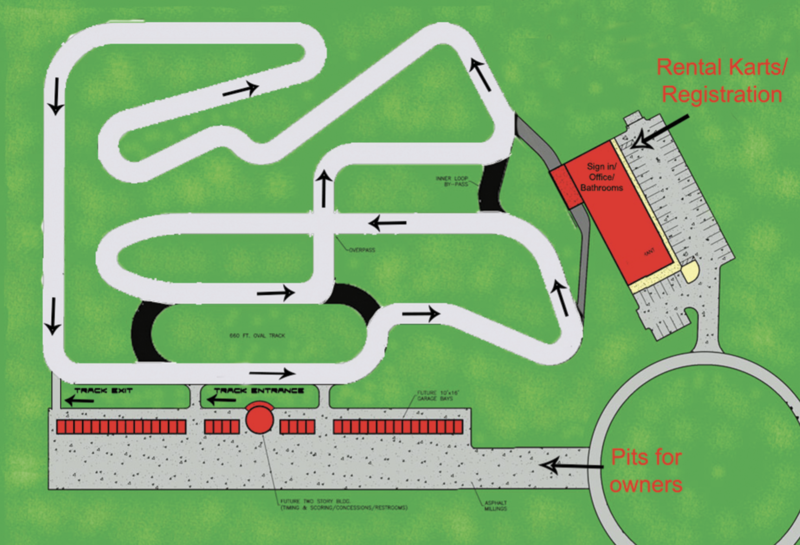 The track contains a bridge and an underpass, 17 turns (one of which is banked), making it the only competition kart track in the nation with these features. We also have a dirt/clay section for the SuperMoto bikes and Groms. The main building on-site is a 9,600 sqft facility for rental karts. We have our main office, rental kart registration, a waiting area, the viewing screens for the live timing, a meeting room for corporate events, private events, driver schools or catering and the covered grid for the rental karts. The pit area of the facility has a 2-story scoring tower that has registration as well as bathrooms / shower for pubic use. We have the pit area for people’s trailers and tents, as well as rentable garage space for people who would like to keep their equipment on-site. The pit area / competition side of the facility has its own pit on and pit off and a scoring line also.